The Leather Back is just that- a single piece of Vaja’s vegetable-tanned Bridge Leather cut to cover the back of the phone. 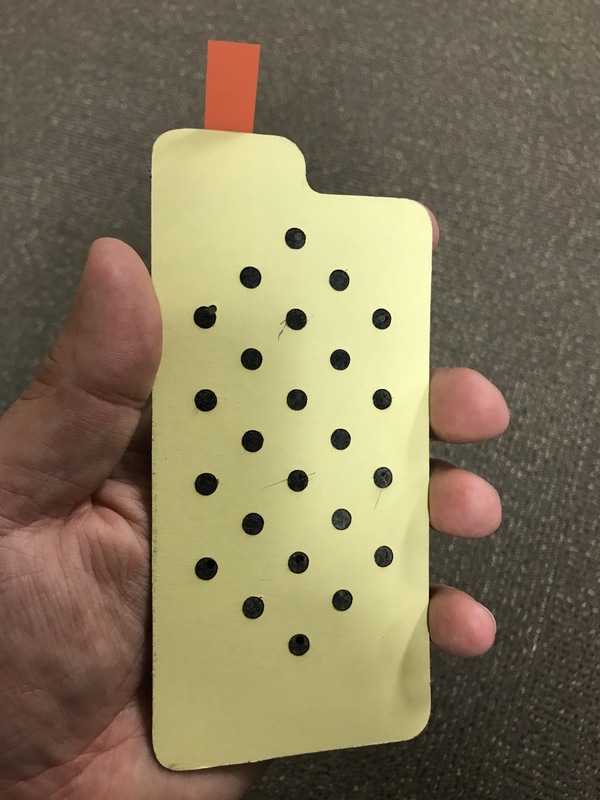 As you can see, the Back covers the entire rear surface of the iPhone, which is a 7 Plus in my case. One of the advantages of this cover for iPhone 6 and 7 users is that the Leather Back does even out the back of the phone, so that it sits level and the bottom edge of the protruding camera no longer comes into every surface you sit your phone on. This is a nice touch for such a simple cover. Beyond protecting just the camera, the Leather Back also fully protects the back of the phone from scuffs and scratches. Even though the Bridge Leather feels soft to the touch, it does hold up well under normal wear and also ages nicely. The Leather Back should also provide minimal dent and a small amount of drop protection, but I wouldn’t push it. Basically, it is better than nothing, but it is not designed for that purpose the way that a full coverage case is. The other protective advantage of the Leather Back is additional grip. Anyone who has used a Plus-sized iPhone will know that this isn’t trivial, either. 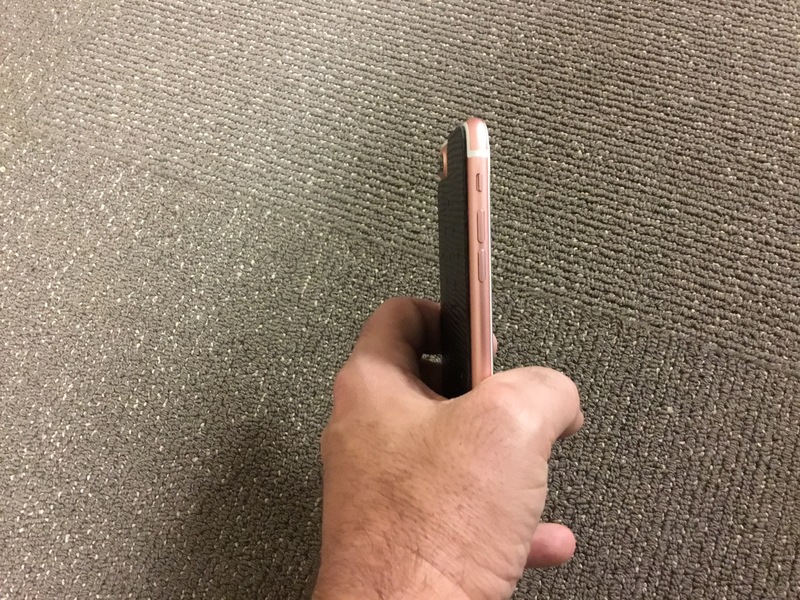 Even for someone with fairly large hands like myself, the Pluses are wide enough that keeping a good hold on them without a case can be a challenge. However, having a textured leather surface against the palm of your hand definitely adds friction and helps out keeping a firm grip. 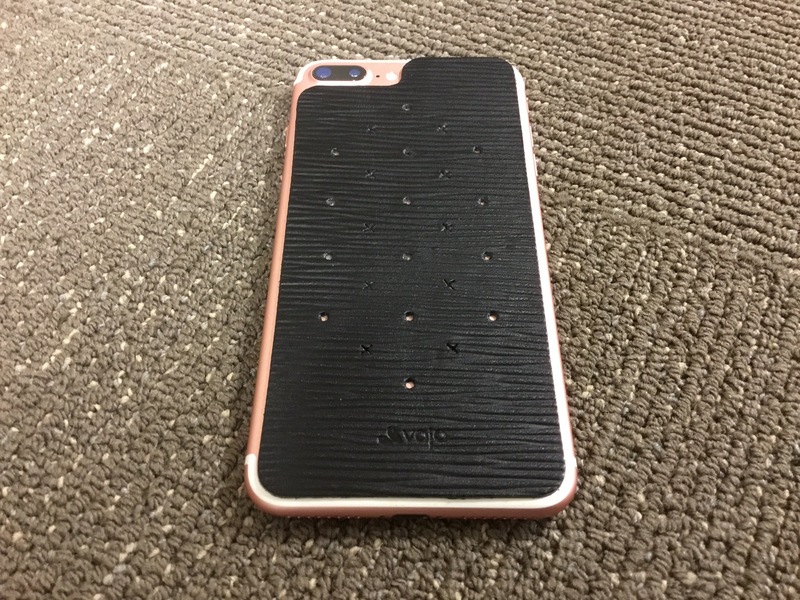 As with their Nuova Pelle cases, Vaja employs a versatile and re-usable adhesive to attach the Leather Back to your iPhone. I really appreciate this design feature, as it allows you to switch to a full case, or go back to “naked” when the situation calls for it. Removing the backing and installing the Back on your iPhone is easy, and removing it from your iPhone just as easy. Just peel and stick. Pro Tip- keep the backing that comes with the Leather Back, so you can re-cover and protect the adhesive after removal. Allowing lint and dust to take hold will shorten the adhesive’s lifespan. Taking a little care will greatly extend its usefulness. 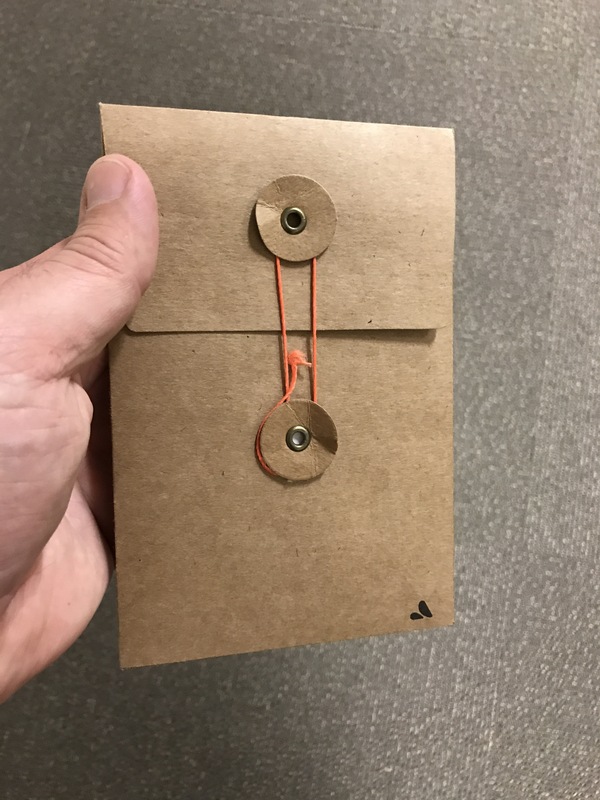 The Leather Back comes in a nice cardboard envelop that is perfect for storing it when you remove it from your device. Just re-apply the backing, slide it back in, and it is safe and sound until you are ready to rock it again. Let’s be honest here. There are other products that you can use to protect the backside of your iPhone. A big reason to go with a product from Vaja is for how it looks and feels. The Leather Back definitely delivers in this respect. It is available in 10 different versions, covering typical brown and tan shades of leather, gray, black, and red. For this review, I received the Foglie Black version. The word Italian word Foglie translates to Leaf, which refers to the unique lined texture of this cover. Where the more traditional Bridge versions have a soft feel like the Niko Wallet I previously reviewed, the Foglie designs are more firm to the touch. While I personally prefer the softer feel, this is unique and enhances your grip on the phone. Another nice visual touch that comes with the Foglie Black and some of the other designs (see Vaja’s site for details, as each of the 10 options are pictured) are the small holes that allow the phone’s color to come through. This adds a little bit of color contrast, which in the case of my combo of Rose Gold and Black, is visually interesting. The Vaja Leather Back is a unique and interesting item, which is why I wanted to review it even though it isn’t something that I would likely use often, myself. One thing I have learned from corresponding with our readers is that there is a wide variety of use cases and preferences represented here. As such, I know this Leather Back will be perfect for some of you who don’t care to use a case at all times. Anyone purchasing a Leather Back just needs to understand exactly what they are (and aren’t) getting going in. This accessory does exactly what Vaja says it does, which from a functional standpoint, honestly isn’t that much. But what it does give you in terms of protection and design works very well. However, the stand-out feature of the Leather Back is the look and feel of high quality leather at an affordable price. At $39.99, the Leather Back is the least expensive coverage product from Vaja, and in my opinion, it is definitely worth every penny. 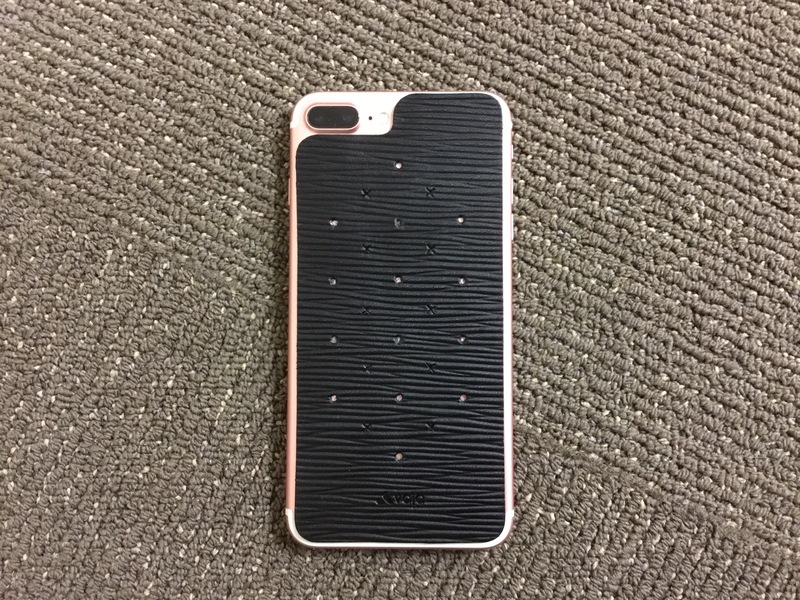 The Leather Back for the iPhone 7 Plus is available from Vaja in your choice of 10 different color/pattern combinations for $39.99. (At this time, the Leather Back is on sale for $34.99). 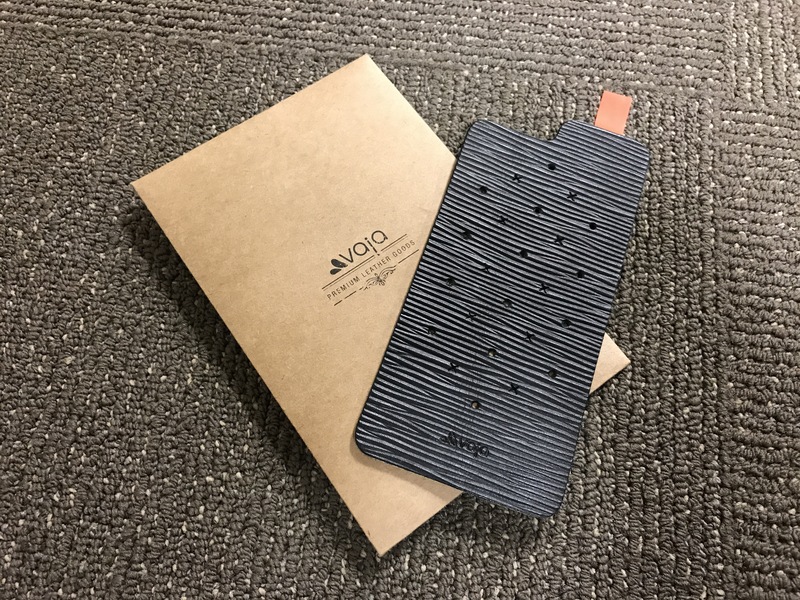 The Niko Wallet-Leather Case was provided for review on iPhone Insight by Vaja. For further information regarding our site’s review policies, please see the About page.